My great friend Nicole and I at dinner after one of my band concerts! My part in my group’s depiction of Christian Community. I was the angel at a funeral service where someone was playing dead, someone playing a priest, others praying, and I can not remember what else. 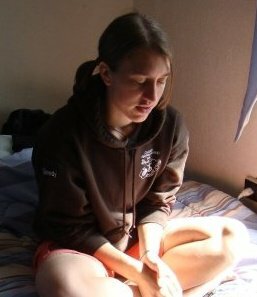 This is at the Hootenanny at Girl Scout’s Camp Greenwood where I worked for a few summers. 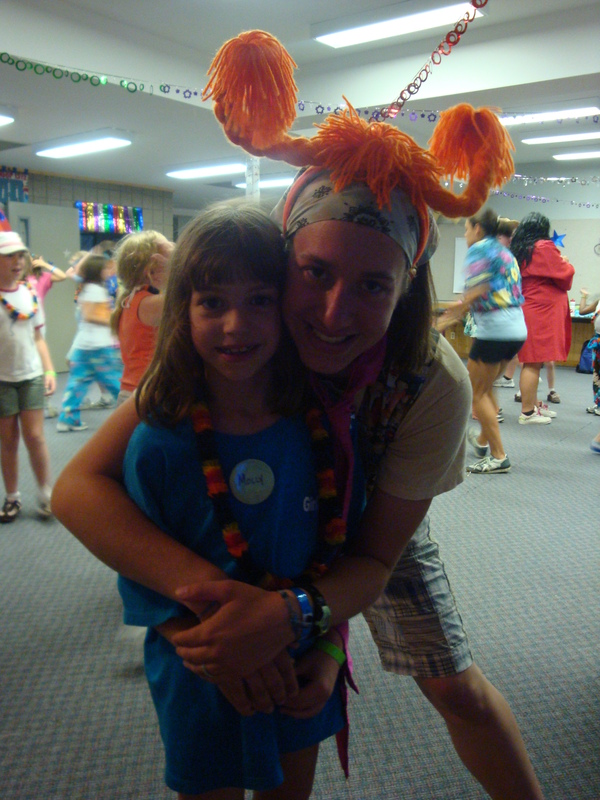 My sister Molly went to camp for a week, so we had to take a picture! 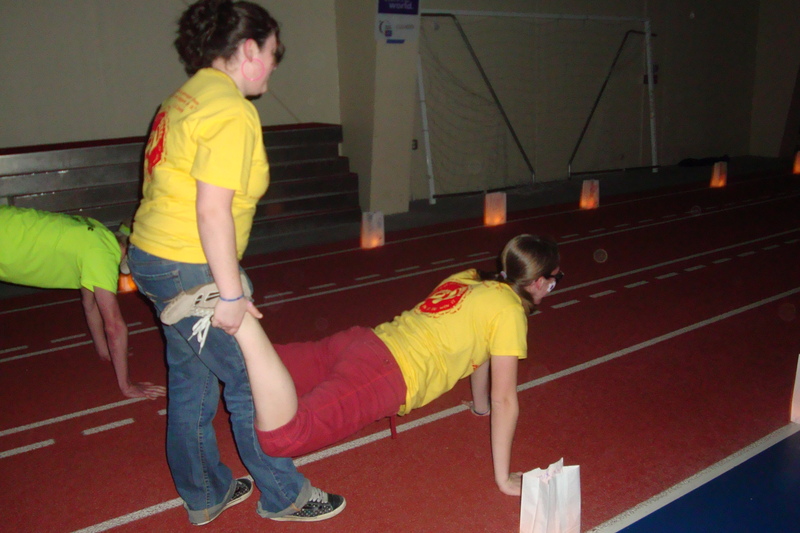 This is the Relay for Life during my senior year. We rocked out at the beginning…not so much at the end. Regardless, it was fun. 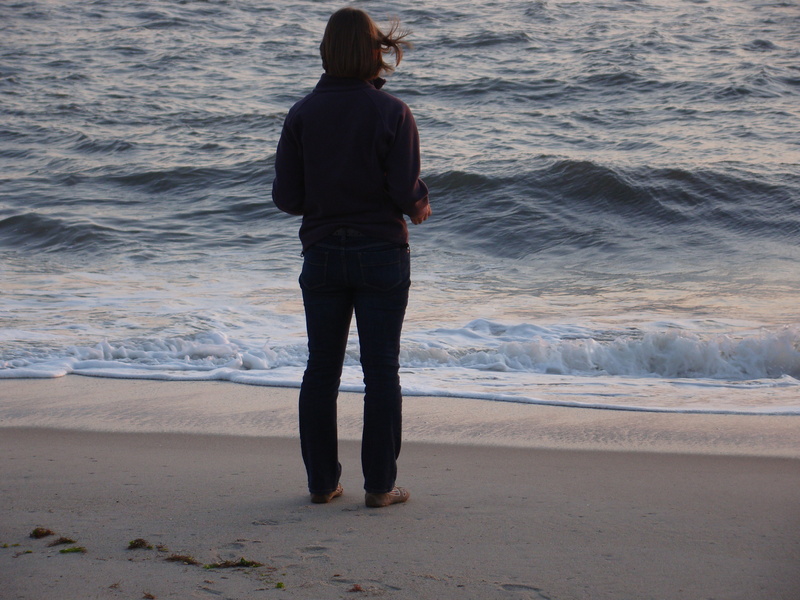 In the odd hours, I had decided to run two miles…I run sprints, not distance. 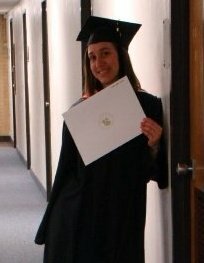 I was beyond excited to graduate given the worries and fears I had about being able to! Yay Graduation! 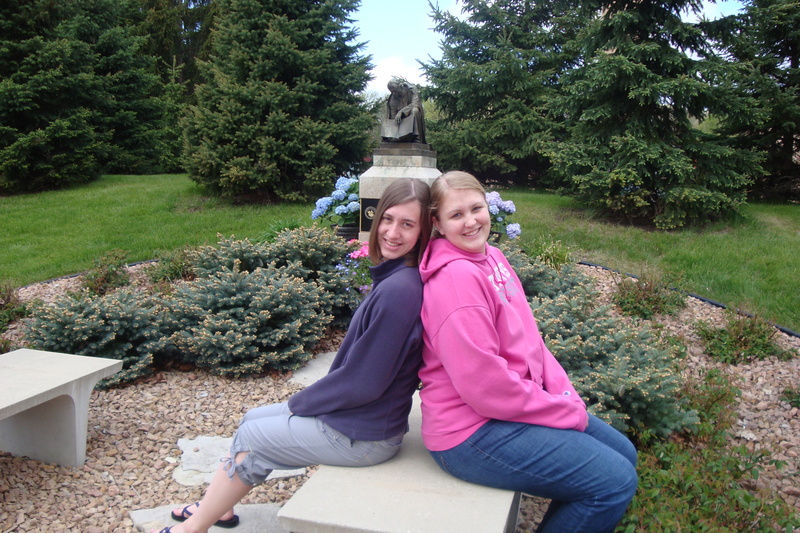 Jocelyn and I during my last time on campus. Soul Sisters forever we shall be. I just plain old love this picture! 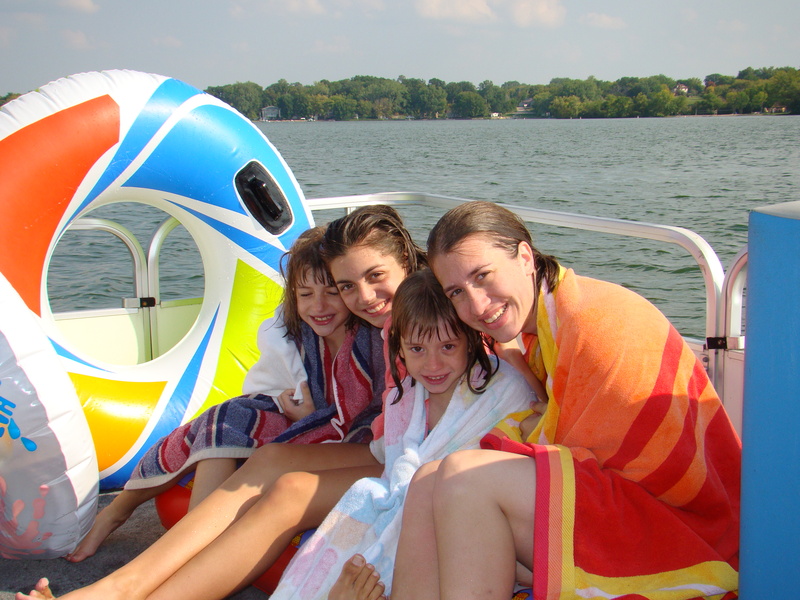 Left to Right: Molly – sister, Rachel – cousin, Abby – sister, me! We are out on the pontoon having just spent some time jumping off it into the middle of the lake and swimming around. That is one of my favorite things about going to the cabin, followed by playing cards. 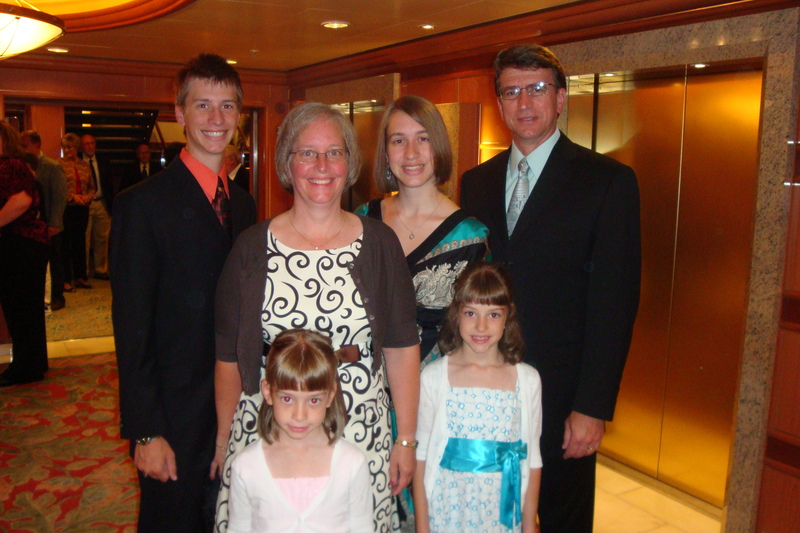 This is my family summer 2009 on our Alaskan Cruisetour. On the Jersey beach my first weekend in Cape May Point, October 2009. Mom drove out with me, spent a few days with me, then flew back to Minnesota. I just like this picture, so here it is! Prayers, Peace, Live + Jesus!